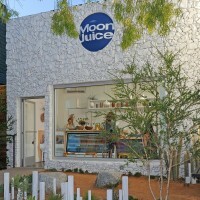 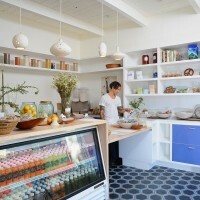 Moon Juice Market is an organic cold pressed juicery founded by it’s owner/operator Amanda Chantal Bacon. 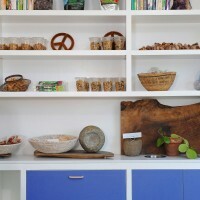 Pressing, bottling and selling all there products on site in a modest 400 square feet. 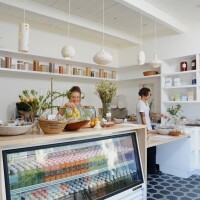 The store may be small in size, but it delivers an abundance of organic vegetable juice blends, nut milk smoothies and organic snacks and treats. 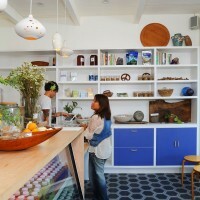 The design features clean modern interior lines, a rusticated timber ceiling, Moroccan concrete tile floor and stone facade giving the store a wealth of character and elegance. 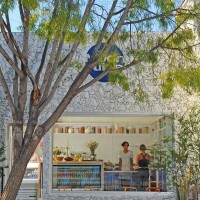 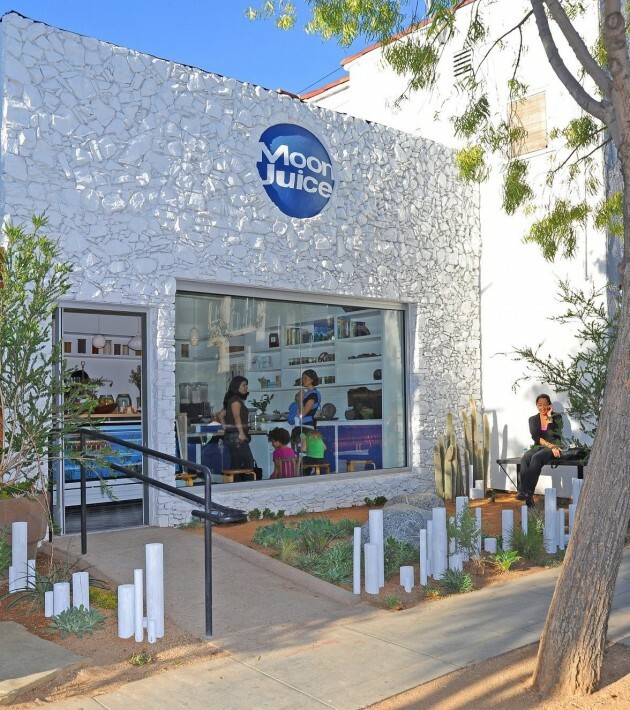 Located on Rose Avenue in Venice California just blocks from the beach it has rapidly become a neighborhood icon and destination spot for those seeking a healthier nutrition based lifestyle. 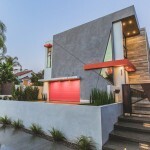 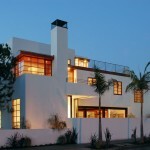 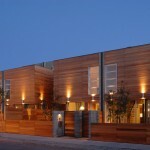 Visit the website of Stephen Vitalich Architects – here.